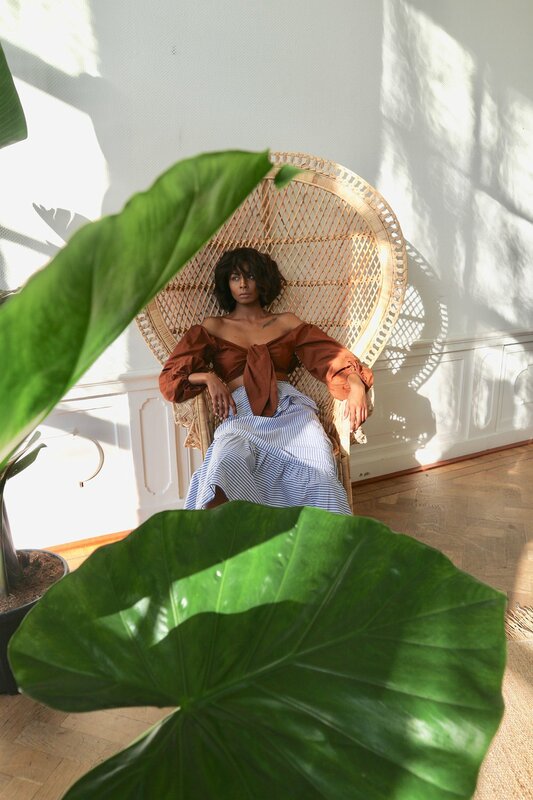 In an Amsterdam town house, Sharon Jane D shot model Tirza Tjon in the new LIBAYA items. Together with an all female team we realized the first lookbookl shot in the Netherlands, offering complete style inspiration for the first time. 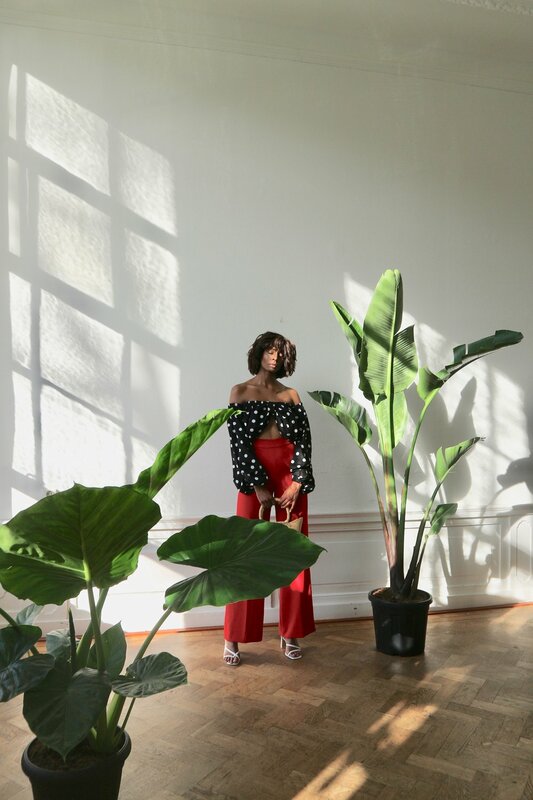 We decorated the space with a few plants and African handmade carpets, reflecting a mood that connects us to our shooting locations on the continent. Also we we're lucky to witness the first sunlight of a Dutch spring, shining through our windows.